and just 15 minutes to the Rosario Islands. green hills for ecological walks! Rooms: Currently we have 16 renovated rooms that allow us to comfortably accomodate you in standard, superior and family suite. 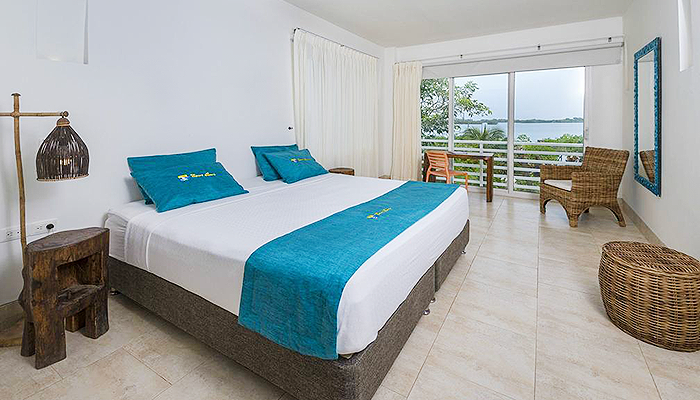 All our rooms have safety box, private bathroom, view to the sea and tropical architecture. Romantic Dinner, Playa Blanca Tour, Visit to the Village of Barú.